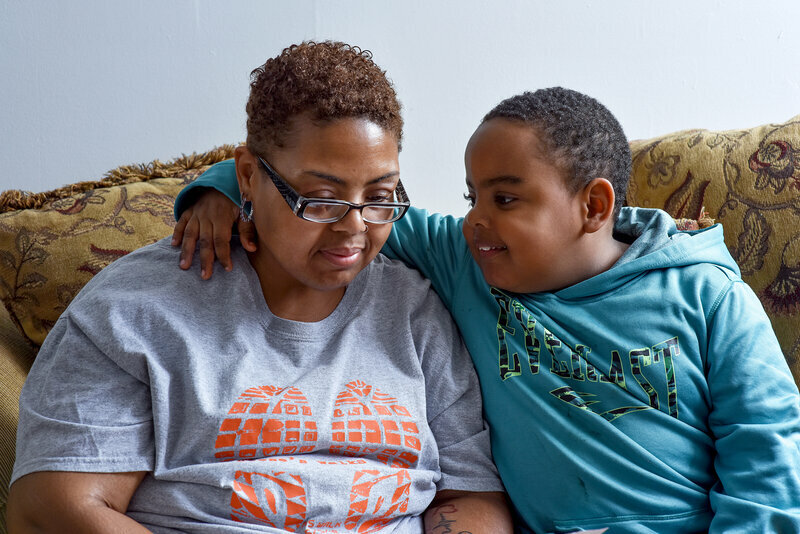 Shereese Hickson was diagnosed with multiple sclerosis in 2012 and is unable to work. She supports herself and her son, Isaiah, on $770 a month. She could still walk and take care of her son six years after doctors diagnosed the disease, which attacks the central nervous system. Earlier symptoms such as slurred speech and vision problems had resolved with treatment, but others lingered: She was tired and sometimes fell. Genentech, a South San Francisco, Calif.-based subsidiary of Swiss pharmaceutical giant Roche, makes Ocrevus. The drug is one of several for multiple sclerosis that are delivered intravenously in a hospital or clinic. Such medicines have become increasingly expensive, priced in many cases at well over $80,000 a year. Hospitals delivering the drugs often make money by charging a premium on top of their cost or adding hefty fees for the infusion clinic.